The LIFEPAK Express Dental Package is a quick-start, no-hassle way to improve the safety of your dental office with one simple, easy step. The LIFEPAK Express Dental Package features the LIFEPAK Express AED, in addition to all of the essential accessories recommended to best prepare you and others for sudden cardiac arrest within a dental office setting. For dental offices whose patients are primarily adults and those over the age of eight, the standard LIFEPAK Express Dental Package is recommended. If your patients are predominantly pediatric, the Pediatric LIFEPAK Express Dental Package is recommended. The LIFEPAK Express was created by Medtronic Physio-Control in order to provide lay responders and infrequent users a cost-effective AED that still managed to feature the very best in defibrillation technology that has made the LIFEPAK line the preferred choice among first responders. As buyers can expect from the LIFEPAK AED line, the LIFEPAK Express features exceptional simplicity, portability, minimal maintenance, a five-year warranty, ADAPTIV biphasic escalating energy therapy, and much more. The LIFEPAK Express is designed for scenarios in which an AED will be used either infrequently and/or by someone that is likely not a medical professional. Combining Physio-Control's preferred escalating therapy (recently recommended by the American Heart Association's 2010 Guidelines) with both simplicity and portability, the LIFEPAK Express is a perfect AED for lay responders looking to increase their preparedness in the home, office, school and more. The size of the LIFEPAK Express is perfect and makes for fantastic and efficient portability (for those familiar with the LIFEPAK CR Plus, the two models are the same size). In fact, the LIFEPAK Express is one of the smallest AEDs available, yet doesn't feel like a toy when picked up (as some buyers have complained of other manufacturers). The LIFEPAK Express weighs a meager four-and-a-half pounds, making it one of the lightest AEDs on the market. In situations where portability is required, the LIFEPAK Express performs wonderfully. The LIFEPAK Express also received a water-resistant rating of IPX4, meaning it's splash-proof, even when the electrodes are connected. Simplicity is key in a traumatic situation, particularly for untrained responders. Medtronic Physio-Control took this into account on all fronts and created an incredibly easy-to-use AED with their LIFEPAK Express. Simply press the release button to open the lid and the LIFEPAK Express automatically turns on. Once opened, the LIFEPAK Express delivers clear voice prompts to walk you through the entire rescue process. The LIFEPAK Express provides 140 minutes of 'on' time or 20 full shocks, both of which are more than enough for typical rescue scenarios. For those already familiar with AEDs, you'll be happy to hear that the LIFEPAK Express shares the same technology used by Medtronic Physio-Control's more complex defibrillators. As many rescue professionals will attest, Medtronic LIFEPAK AEDs and defibrillators are preferred over others due to their patented ADAPTIV biphasic waveform and escalating therapy. The first shock of the LIFEPAK Express is set at 200 Joules. Should the shock not revive the patient's heart, the LIFEPAK Express will then escalate its energy output up to 360 Joules. In short, if the first shock doesn't work, the LIFEPAK Express increases the energy output for greater chances of revival. Simplicity also extends to the maintenance of the LIFEPAK Express. The CHARGE-PAK (the battery for the LIFEPAK Express) and electrodes ship to you with identical expiration dates, allowing you to keep track of only one date rather than two. Once the expiration date is reached (around two years) and/or after using your LIFEPAK Express, simply replace both at the same time. Along with keeping watch of expiration dates for your LIFEPAK Express, you usually need to regularly check your AED in order to make sure it's in working order. Medtronic Physio-Control once again has you covered and has kept maintenance to a minimum for the LIFEPAK Express. The LIFEPAK Express performs basic self-checks weekly, in addition to a more thorough diagnostic test conducted on a monthly basis. Maintenance for the LIFEPAK Express is one of the easiest and least time-consuming out of any AED available. In short, the LIFEPAK Express is an exceptional AED for lay responders and those looking to outfit their given territory as cost-effectively as possible. With the LIFEPAK Express you're getting an exceptional AED at an incredibly low price, an AED made by the manufacturer preferred by 90% of all professional rescue personnel, and one that features the very same technology and therapy responsible for its accolades among health professionals. As of January 1st, 2012, all New York State dentists are required by law to have automated external defibrillators (AEDs) on-site within their dental practices. The new law was brought forth from a bill sponsored by Senator Martin J. Golden and Assemblyman Herman D. Farrell, Jr., was signed by New York Governor Cuomo. The New York State Dental AED bill, the second of its kind in the country, was supported by notable institutions such as the American Red Cross, the American Heart Association, and the Regional Emergency Medical Services Council of the Hudson and Mohawk Valleys. 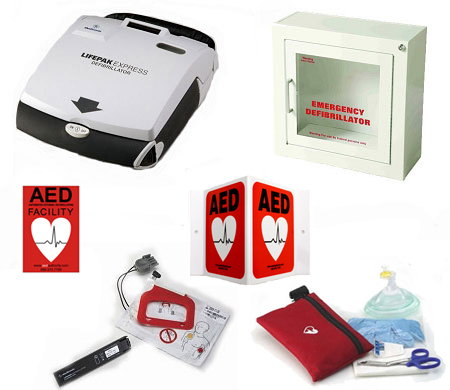 AEDs Today has created special AED packages for New York State dentists. If you're a dentist or dental office in New York State, we recommend one of our special New York State Dental AED Packages. These packages readily ship with the required form to get a $500 tax credit with your purchase, helping you keep costs down for your AED program. 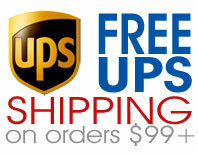 To find the New York State Dental Packages, click here.